Preaching is not unlike the courtroom drama Jesus faced before Pilate. The audience we face is no less cynical. Jesus, testifying to his kingship, said, “Everyone who belongs to the truth listens to my voice.” Pilate answered with post-modern cynicism, “What is truth?” Pilate was schooled in the real politic of empire in which, might not only makes right, but determines what is true. Jesus was not speaking of a proposition that is true. Jesus spoke about a truth to which we belong. One does not belong to a proposition. But one can belong to a person. Jesus claims to be the truth. The truth we proclaim is not a proposition but a person. Persons embody narratives. It necessarily follows that if the truth is a person, the truth is embodied in the narrative about this person. At the heart of Jesus’ narrative is his promise of the reign of God. His promise is a gift he gives us when the pledge is made, a gift extended over time in word and sacrament and community. We refer to the gift of the Holy Spirit because the Spirit is the down payment of the gift. Our preaching presents and represents the gift. In my opinion, a sermon structured as a narrative is most fitting. It fits the task of proclaiming Jesus Christ and him crucified and raised for our salvation. Moreover, narrative preaching fits the age in which we live. Narrative is the native language of our post-truth culture. I am not advocating preaching as storytelling. Stories, I think, have an important role in proclamation. That is a topic for another column. Here, I am calling for a sermon formed as a narrative. Eugene Lowry noted that a narrative moves from disequilibrium to resolution, along a path marked by conflict, escalation, reversal and on to a new future. Note how closely the Crossings diagnosis/prognosis outline follows a narrative plot. At the first level of diagnosis, the method has us studying the text for the external signs of conflict or problem. The method asks us to push further to look at the human heart for evidence of what underlies the problem. Disequilibrium peaks as we press the diagnosis to reveal God’s judgment. It is at this level of diagnosis we discover why it is we need a crucified and risen savior. The prognosis side of the Crossings method begins with the eternal and the reversal worked for us through the life, death, and resurrection of Jesus. The diagnosis side of the method moved from external to internal to eternal. The prognosis side mirrors that in reverse. The eternal level moves on to the internal and the faith Holy Spirit works in us. From there the method pushes us to consider the external and how we now live in the world with this new prognosis for those who live in Christ. The text mentioned before in this article is Jesus’ trial before Pilate as narrated in John 18:33-38. The issue is to whom do we belong. Luther said we make gods for ourselves out of what we love, fear, or trust in place of the Lord God. To whom we belong is a further way of stating the issue. A look at the symptoms presented in the text reveals that Pilate belongs to the Roman empire. He is its servant. Further diagnosis shows Pilate’s misplaced faith in empire has caused him to be deeply alienated. He has made a god out of what is not god. He has hung his heart on an alien lord. His fear of that god causes him to send an innocent man, more than that, the one who is rightly his Lord, to the cross. And what of the kingdom of God and its king who stands before him. Pilate will be left out of that kingdom. Now we have reached the depths of our diagnosis. The prognosis is grim. Christ, however, brings us a new prognosis. In this crisis of belonging God chooses to belong to us. In Christ, God abides with us as one of us, even one like Pilate. Jesus suffered the worst the empires of this world can execute. The death sentence is the pinnacle of their power. As the ruler of a more powerful dominion, he rose in triumph over the grave. The ethos of his kingdom is forgiveness and mercy. This good news gets even better. Jesus wants us to belong to him. Unlike the superheroes of popular mythologies, Jesus did not seek to get even with his foes. Rather, he invites all those who have bent the knee to an alien lord to be citizens of his kingdom. 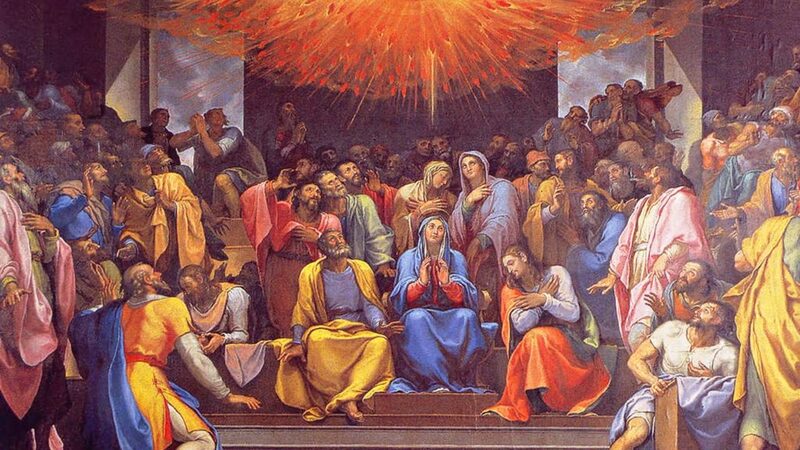 By Word and sacrament the Holy Spirit works faith in us so we confess Jesus as king. Even better, Jesus enlists us to be his servants. We are emissaries of the truth. We get to represent him to the world, telling others about his kingship which subverts all the kingdoms of this world. We fight for him, not as followers of the kingdoms of the world fight. We rather seek reconciliation so that communities may flourish. We practice mercy and forgiveness rather than keeping score and getting even. This final step in the outline gives us the opportunity to describe and tell stories of what it looks like when we are part of God’s mission in the world. The Crossings method provides a narrative outline for the study of scripture and sermon preparation. 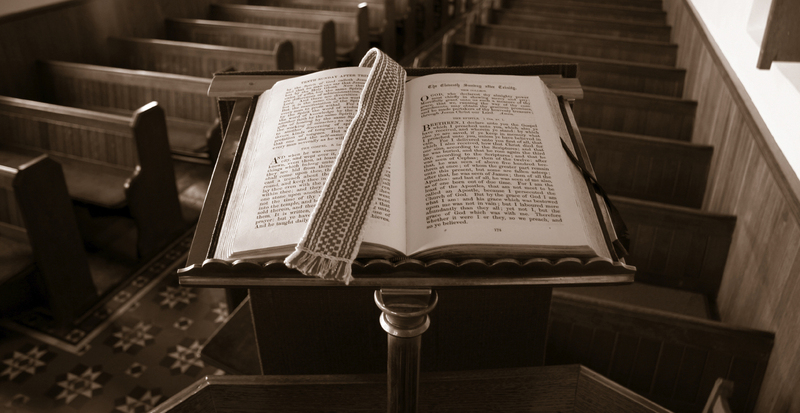 I recommend the Sabbatheology columns prepared weekly by members of the Crossings community, Jerry Burce’s Thursday Theology, and other resources on the website.